Our crib is a wooden full size crib with two mattress height settings and stationary rails (they do not collapse). Very easy to setup, simply unfold, lock into place, and roll into position. Our crib comes with a standard size mattress and uses a standard size crib sheet. Sheets are not provided but are available for rent. 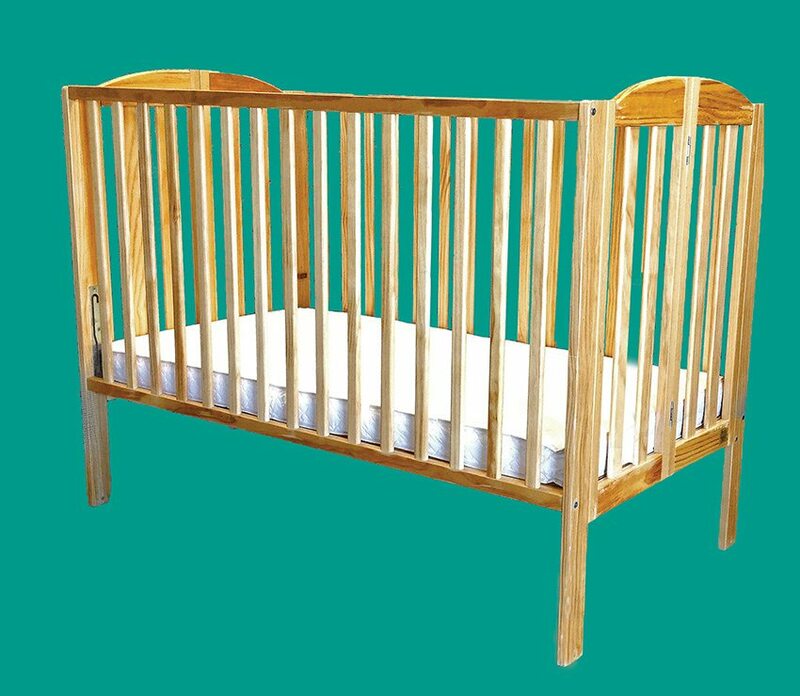 Our cribs meet all Federal Safety Regulatory specifications set by CPSC.